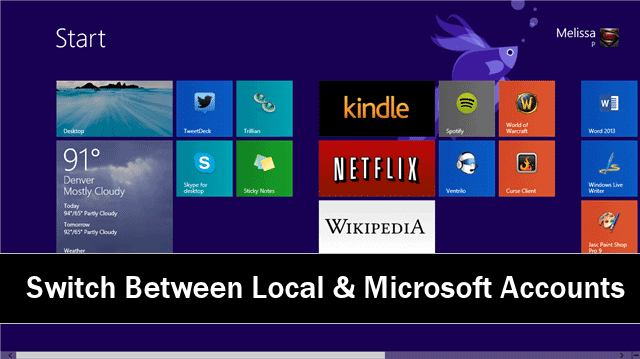 Microsoft introduced two types of accounts for Windows 8: Local and Microsoft. The latter lets you sync to the cloud, the former is your standard Windows user account. You can switch between the two as necessary, and this guide will show you how. 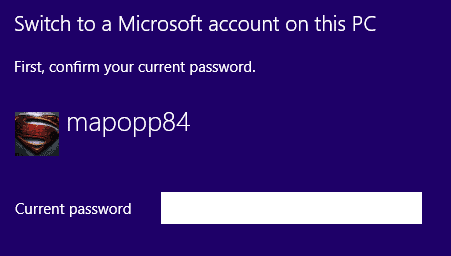 Microsoft Accounts allow you to take advantage of what the cloud has to offer the Windows 8 users. Although, Local Accounts can be enough for most users, especially when you’re sharing a PC. 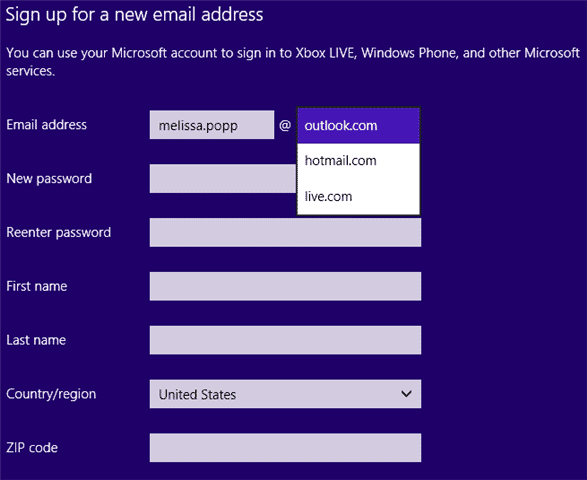 You can switch back and forth between local and Microsoft Accounts as you need to. However, keep in mind that without a Microsoft Account, you can’t take advantage of the cloud syncing for your account settings, apps and more. Let’s take a look at the process of switching between accounts in Windows 8. Open the Windows 8.1 settings either by searching for “Settings” from the Start screen or by using the Charms Bar (Win Key + C) to open PC Settings. We’ll start this guide by going from a Microsoft to a Local account back to a Microsoft Account again. The next steps are common for both Windows 8 and 8.1. Click “Disconnect” to start the process. 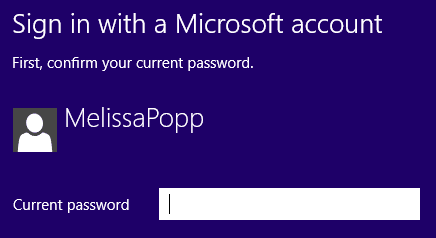 A new window will open asking you to enter your Microsoft Account password. Click “Next” after entering it. You’ll be asked to name your new Local account, enter a password and give yourself a hint about it. This is the same way you go about creating an account in Windows 7 and other versions of the OS. Click “Next.” on the following screen. Windows 8 will give you a warning about saving your work and that you’ll be logged off to log back in after the switch occurs. Click “Next” again. You’ll be logged out of your Microsoft Account, it’ll be switched to a Local account, and then you can log back into Windows 8. If you head back to the PC settings for Accounts, you’ll see your account is now designated a Local account, and you can switch it to a Microsoft account at any time. If you have a pre-existing Microsoft Account, you can link your Local account to it or create a brand new Microsoft Account. If you want to do the latter, click “Sign up for a Microsoft account” to get started. 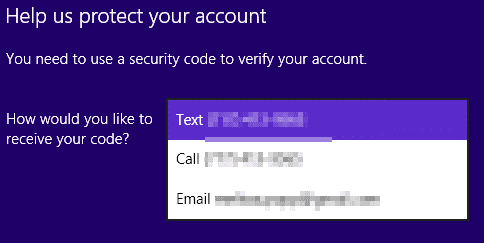 When linking a pre-existing Microsoft Account, you’ll need to confirm that you own it either through e-mail or a security code sent to your phone. Click on the “Drop Down” box to choose how you want to receive the code. If you opt to skip this step for now, you’ll need to confirm your account later or else you’ll be locked out. Whether you skipped confirmation or confirmed your Microsoft Account, you’ll be asked whether you want to connect to SkyDrive. SkyDrive is the way to sync your account information, app data and more to the cloud. Windows 8 has been fully integrated with SkyDrive when using a Microsoft Account, so this is a big plus. You’ll be warned once more about switching your account. Click “Switch” to start the process. You won’t need to sign back in once your account is converted. It’s done automatically in the background and you can continue working with Windows 8 from there. 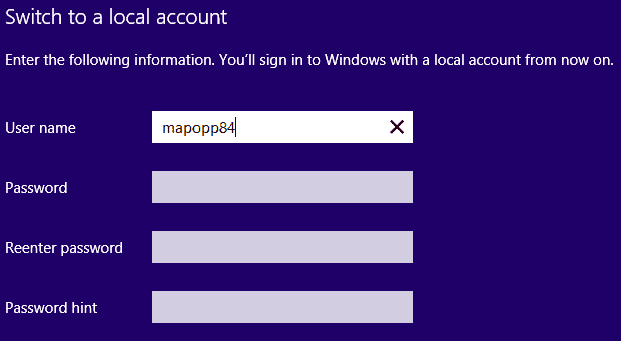 The process isn’t too intensive to go back and forth between Local accounts and Microsoft Accounts, similar to how easy it is to change a Microsoft Account name. 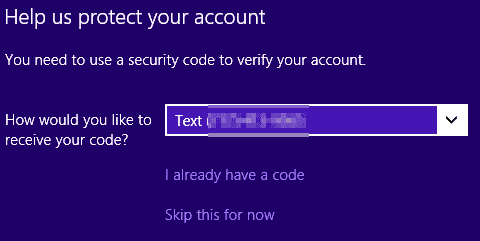 However, do keep in mind that going back and forth limits what the Windows 8 experience can do for an account. By using a Microsoft Account, you can utilize the cloud to save settings to access on other PCs using Windows 8. This is a very big asset to using Windows 8, something many users take for granted when using the OS. Then, click on “Users” in the left hand menu. You’ll need to sign up with an existing Microsoft Account-based e-mail address or sign up for a new account. The rest of the steps follow the same pattern as the process for a Windows 8.1 user described above. The primary difference is how you open the settings in Windows 8 as opposed to Windows 8.1 new settings app. There are a handful of reasons why you might need to switch between a Local account and Microsoft Account. No matter the reason, the process is easy to follow and can be done so long as you are logged into the account you want to change. Remember to save your work before starting the process. While it’s never been buggy, you never know what could happen during the switch.